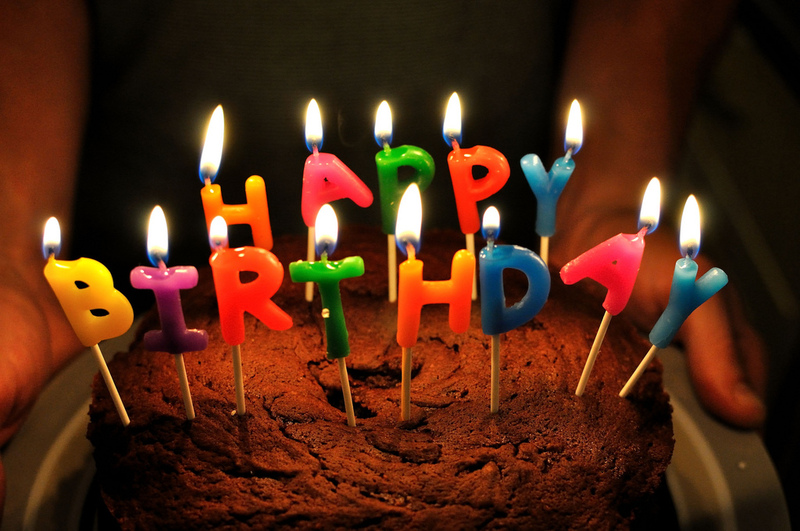 Last week Seamless turned the grand old age of one! Hurrah! Oh, alright then, I’ll give you SOME clues. The winner of the giveaway shall receive a bundle of goodies, perfect for anyone taking the Seamless Pledge. This shall include. …and whatever else I can think of! To enter, just leave a comment below and you’ll be entered into the random draw. This giveaway is open to everyone around the world, whether you’re taking the Seamless Pledge or not. If you want an extra entry, link to this blog on Twitter and mention @elenacresci with the hashtag #seamlessgiveaway or leave a comment on the Facebook page. I’d also love to know what kind of thing you’d like to see in the surprise bundle. Is there a little something missing from your sewing box? Have you got a vintage pattern style you’ve been eyeing up? If there’s one thing I’m terrible at when it comes to sewing, it’s taking risks. But, as you all know, when it comes to the Twitter dress, one hell of a risk was needed to try and salvage this project. Not to mention, quite honestly, I am really really BORED of this garment now. Enter embroidery, a craft I’ve never really had a go at and probably should have practiced a bit more before getting my brand-new embroidery needles stuck in – but this is risk-taking sewing here. EXTREME stuff, I’m telling you. Embroidery requires a hoop to keep the fabric taut while you’re stitching along, desperately praying everything won’t come out all wonky. I was half tempted to go without, but, according to Sublime Stitching, the hoop is an integral part of the ULTIMATE EMBROIDERY KIT and being as this was EXTREME RISK-TAKING TIME, it just wouldn’t be the same without the hoop now would it? I had planned to buy my ULTIMATE EMBROIDERY KIT from the lovely Sublime Stitching, but, er, I got impatient and toddled along to a lovely craft shop in Guildford called Pandora instead, where I acquired some stitchery goodness. 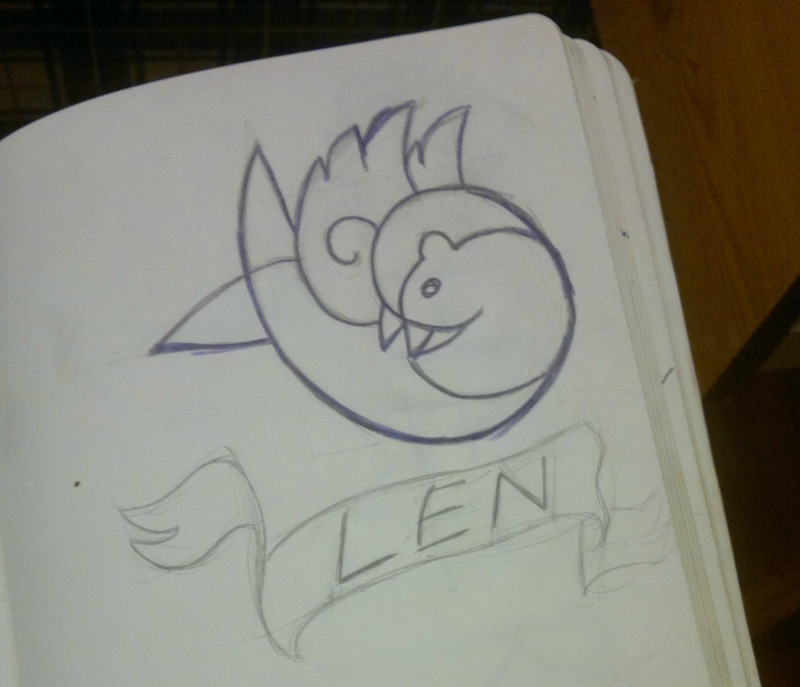 Keeping my Twittery theme in mind, I asked a good friend of mine to doodle me a swallow. I get enough stick for having earrings with a passing resemblance to the Twitter logo (especially considering how much I’m on there), I couldn’t quite face actually embroidering it onto a dress. Isn’t it a nice design though? Now, you’d think the sensible thing to do would be to practice, practice, practice first on the oodles of scrap fabric I have. Psht. Whatever. EXTREME RISK-TAKING has no time for piddly practice. This project needs moving along, pronto! I sheepishly admit I wish I’d done a bit of practice now. It’s not that it looks too bad, it’s just a bit… wonky. Poor wonky bird. It had such high hopes, coming from a lovely design, but my inexperienced embroidery hands just got a bit over-excited and everything went all over the place. I could take it out, I suppose, but you’re assuming I can be bothered. Getting stuck in couldn’t have been easier, thanks again to Sublime Stitching. Have you seen the tutorials available on the site? They’re fantastic, really clear and excellent for beginners. If I get more into embroidery, perhaps a cheeky book order is on the cards. This isn’t even the half of why the Twitter dress is taking me so bloody long. I wish I could promise you an adventure-filled sewing tale full of pattern-slashing and skilful adjustments but it’s more a case of me sitting in a half-sewn muslin cheering on whoever was doing some sporting stuff on the telly. It’s grit my teeth time to get it done now. 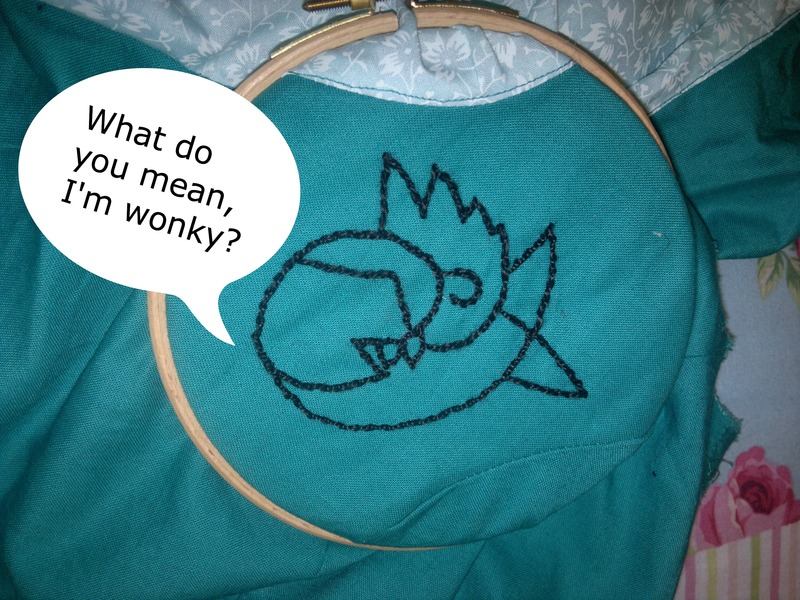 The embroidery, while wonky, was actually pretty fun because it was something different. Now it’s back to the sewing grindstone. Sigh. I am really really excited to announce Seamless has been shortlisted at the Wales Blog Awards! I still can’t quite believe it! I found out last week but haven’t had a proper chance to sit down and blog about it because I’ve been a bit under the weather. Seamless is shortlisted for Best Lifestyle Blog along with two other amazing candidates, Ryan’s Garden and Daisy Dayz. Please do check them out, I need some more people to snoop on the competition… Joking aside, it’s pretty clear Wales has plenty in the way of blogging talent when you look at this shortlist. Really and truly, this blog wouldn’t be anything without you guys. A lot of you have stuck around through the exams, through the job seeking and the eventual move and some of you have even been pledging right along with me. But mostly, you’ve been commenting and contributing on so many of my posts over the past year, which means a lot to me. I’m not sure everyone sees it the same way as I do, but my blog’s statistics rarely mean much to me if I don’t have some user interaction to back them up. So perhaps a post has been read a thousand times, but if it doesn’t have at least one comment, I’ll wonder why and try to write something more engaging next time. There are plenty of you who come back time and again which creates endless possibilities for blog posts from your feedback alone. So if I win this thing, it’ll be down to you guys because I probably wouldn’t have bothered with posts about what we do with our old clothes, whether sewing a wedding dress is a good idea or even the Me Made May challenge if it weren’t for the wonderful community we’ve got going on here. Normal service will resume shortly! I found the cutest craft shop in Guildford town centre last weekend. What goodies did I buy? It’s all change for me this week! Tomorrow, I’m heading over the Severn Bridge for my new home in Guildford, Surrey, where I’ll be starting work at my first ever job. I knew when I finished my postgraduate degree it would be very likely I’d end up in England, but now moving day is almost here, I can hardly believe I’m leaving the green, green grass of home to take my first step on the career ladder. I’ll be working on a local paper based in Guildford and I’m lucky enough to already have a couple of friends working in the same office, so it won’t be as scary a move as it could be. Since the end of June, I’ve been at a bit of a loose end and I’m relieved things are beginning to fall into place. After all, there’s little time for sewing when you’re travelling here, there and everywhere for job interviews. The plan is to get stuck in and settled in my new home and, of course, I won’t be letting up on the pledge anytime soon. From what I hear, the patch I’ll be covering has plenty in the way of knitters and crafters – I’m sure I’ll fit in nicely! So you all know – I haven’t given up on the scrubs dress and I’m making sure it gets a decent transformation. I’ll be leaving my Dad’s fancy camera behind (sad face), but once I sort out my own, I’ll make sure you all get a peek of what I’ve been working on. What’s new with you guys? Do tell! Julia over at Thread Carefully made a fab dress for her friend to wear at her civil partnership. Check out the results and her progress here. Zoe’s released her first-ever free pattern! It’s a vest top, a great basic if you need some extra layers in Winter or a cool top for Summer. The past nine months have gone by in the blink of an eye. On Wednesday, I am no longer a trainee journalist at Cardiff University. Providing I pass my exams, I’ll actually be qualified to work on a local paper, can you believe it? As you probably know, Wednesday also marks the official end of my Seamless pledge. Perhaps it’s all the furious revision I’m doing for my final exams, but it’s not quite hit me just yet! I’m not the first to complete my pledge – over at Thread Carefully, Julia finished her pledge and reflected on it here. What’s really nice to see is she’s not wanting to give up on it and has decided to pledge for another year. Then there’s Juliet, who commented a few days ago that she’s planning to take her pledge until the end of 2012. I’m definitely leaning towards taking my pledge onwards and upwards, but what I’d really like to do is cultivate the community we have here. Speaking about Me Made May ’12, I mentioned how much I’ve loved the community aspect of these challenges and with the end of my course, I’m going to have far more time on my hands to be able to make more of this aspect of the pledge. You might not know, but Seamless already has a Flickr group and a Facebook page going, but I’d like to take this community aspect a lot further. I’ve got a couple of ideas in mind, such as featured pledgers and the refashioning me-mades challenge, but I’d love to hear what you guys would like to do. Whether it’s some more challenges, giveaways, or spotlights on other pledgers, I’d love to know what kind of posts you’d love to see on the blog. If there’s anything you’ve particularly liked about Seamless so far, then I’d love to hear about it, equally if there’s anything you think I should work on. In a way, I’d like the blog to be a focal point for pledgers to come, with groups on Flickr or Facebook acting as “support” networks while you’re pledging or even if you’re thinking of it. Exams, features and portfolio deadlines… this is what this week of May has been all about. Doesn’t Magda look beautiful? I’ll show you some of the other shots I took of her for this article another time, she’s a stunner.